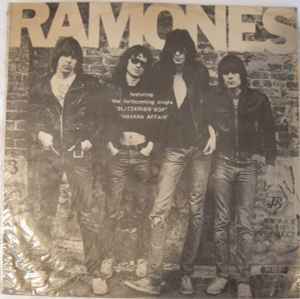 On outer sleeve: "featuring the forthcoming single "Blitzkrieg Bop" "Havana Affair". Slightly different rear cover & center labels. Many track titles are misspelled on labels.